Dedicated to Gea: the new pool hugs its guests in an embrace of harmony. 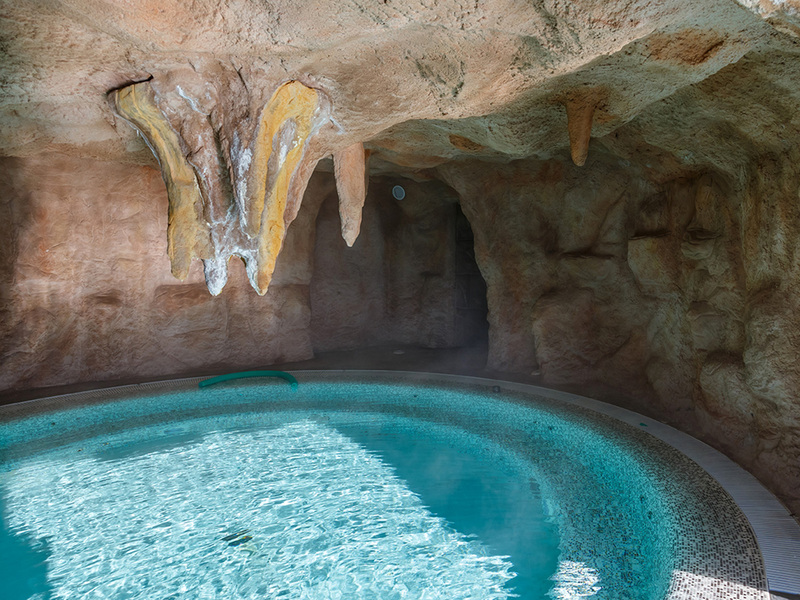 Its body of thermal water is protected by an artificial cave. During the day, it is lit up by the sun, thanks to the wide entrance, and during the night it is bathed in the chromotherapy lights. A new place dedicated to wellness, where matter becomes like home: a place of connection with the earth and thermal water. The new pool is connected to an outdoor part by a water path leading to the wide outdoor pool, with its whirlpools, bubble-beds and thermal falls. Beautiful in summer, enchanting and suggestive in winter. Among a chaotic life, jobs becoming more and more digitalized, cities…the secret to find wellness and balance is to reconnect with Nature’s pure energy. Gea gives us thermal water, rich in trace elements, perfect for our physical wellness and to feel at peace.